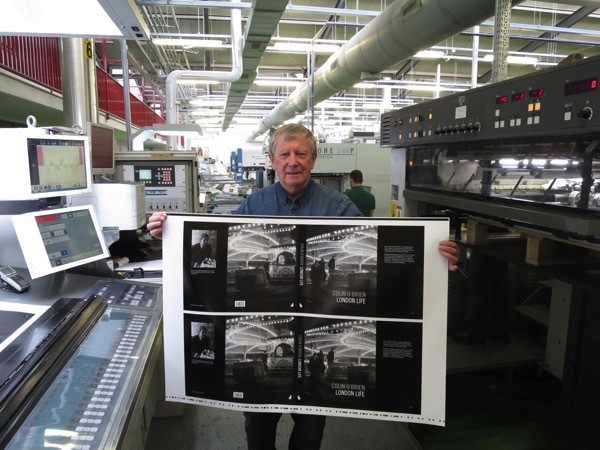 As you can see from this photo taken a few weeks ago at the printers, Colin O’Brien is very proud of his new book LONDON LIFE which is being published thanks to the generous investment of the readers of Spitalfields Life. We invite you to celebrate with us at the launch at The Society Club, Ingestre Place, Soho, W1 from 6pm next Thursday 18th June and preview the LONDON LIFE photography exhibition which runs until 1st August. 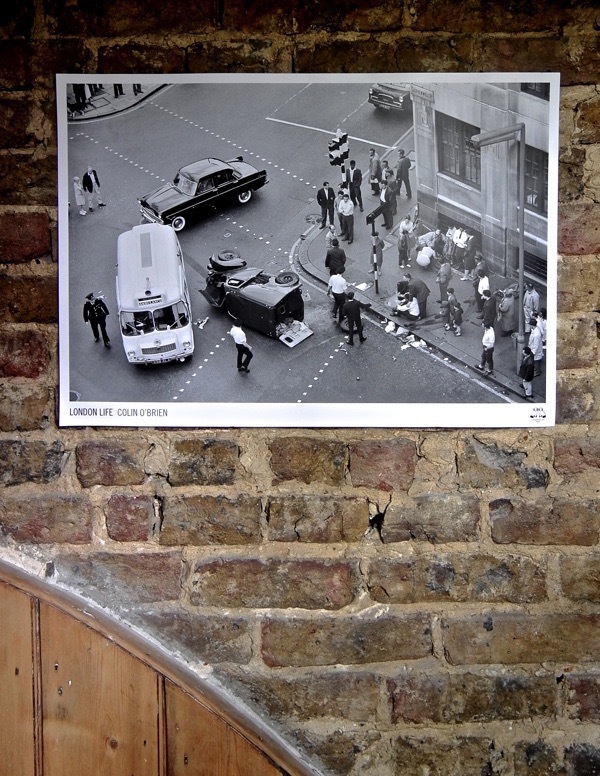 We will be serving complimentary Truman’s Beer, giving away posters of Colin’s famous Clerkenwell Car Crash photograph and each copy of LONDON LIFE bought at the exhibition comes with a complimentary copy of Colin’s first book, TRAVELLERS’ CHILDREN IN LONDON FIELDS. 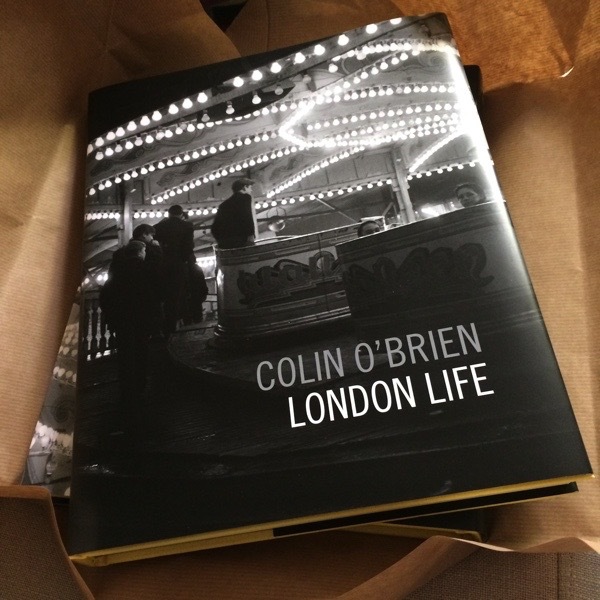 On Tuesday 23rd June at 7pm, Colin will giving an illustrated lecture at Waterstones Piccadilly, showing the photographs and telling stories of LONDON LIFE. Email piccadilly@waterstones.com to book your free ticket for this. 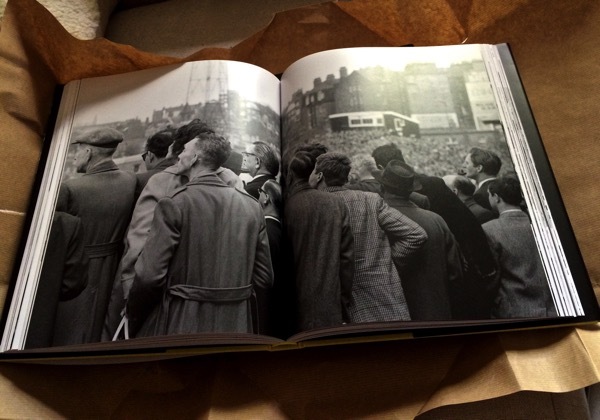 All the drama of life in the capital from 1948 until today is here in LONDON LIFE! Looking forward. I know it’ll be good! Can’t wait to get a copy off Colin. We will be at the launch.